We welcome the opportunity to hear from you. 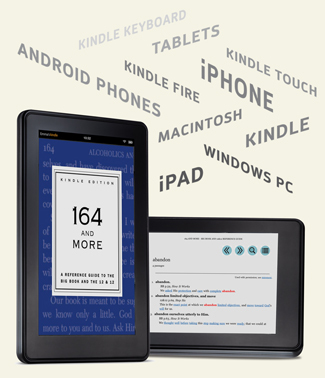 Your experience with the book helps us improve and evolve 164 and More. We will respond promptly to all e-mail and written correspondence. Tell us your ideas for improving 164 and More as well as your thoughts about other books which could benefit from Recovery Press' technique of indexing and presentation.